Two horses’ heads sway from side to side, scanning the eroded patch of canal bank that, at the moment, is home. It’s a cold Monday afternoon. The pylons dot the landscape all the way to the horizon. The pockmarked canal bank is littered with debris and rubbish. But some hope it can be something more. 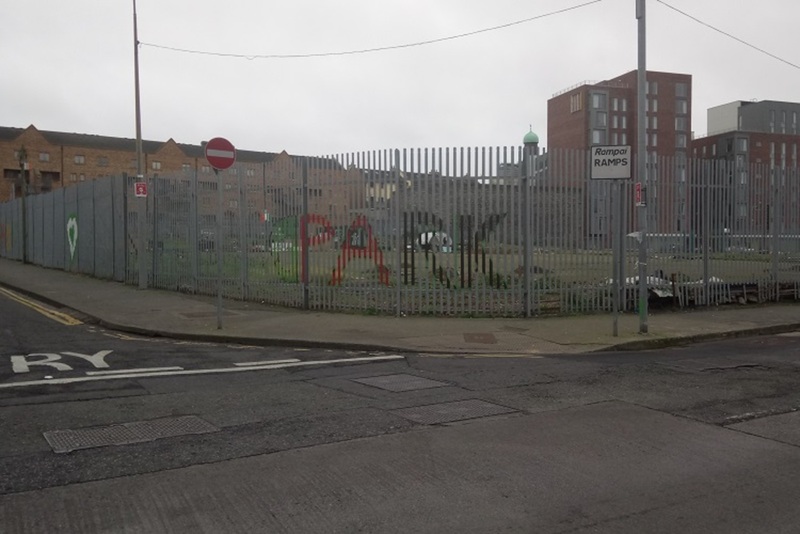 People Before Profit Alliance Councillor Hazel De Nortúin – along with some Labre Park residents – want the space revived, renewed, revitalised. They’d like to see it set aside as a space for Traveller residents of nearby Labre Park to keep horses, and as a space for horse-welfare education. There’s been little interest in this pylon-packed, rubbish-strewn patch along the Grand Canal in recent times. 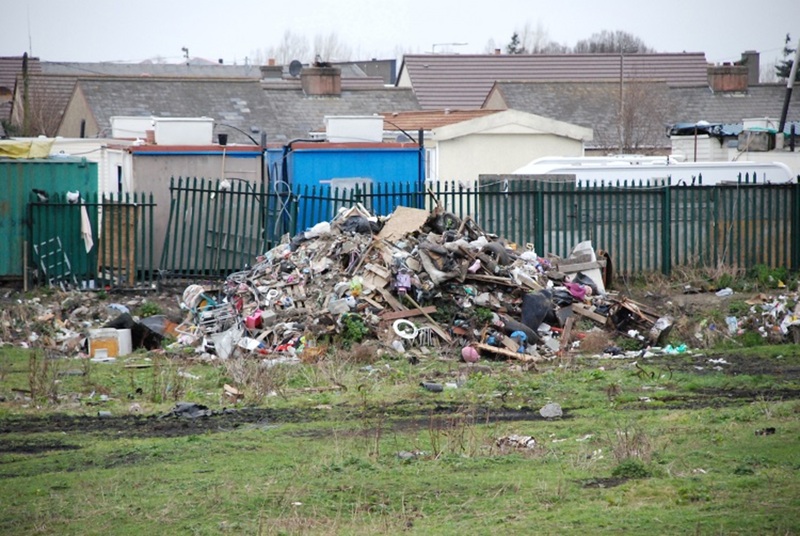 A better use – as an improved space for local horses, for example – would end years of illegal dumping and improve the landscape, argues De Nortúin. As she sees it, with the redevelopment of Labre Park approved last August, it’s the right time to designate this as space for Travellers’ horses. 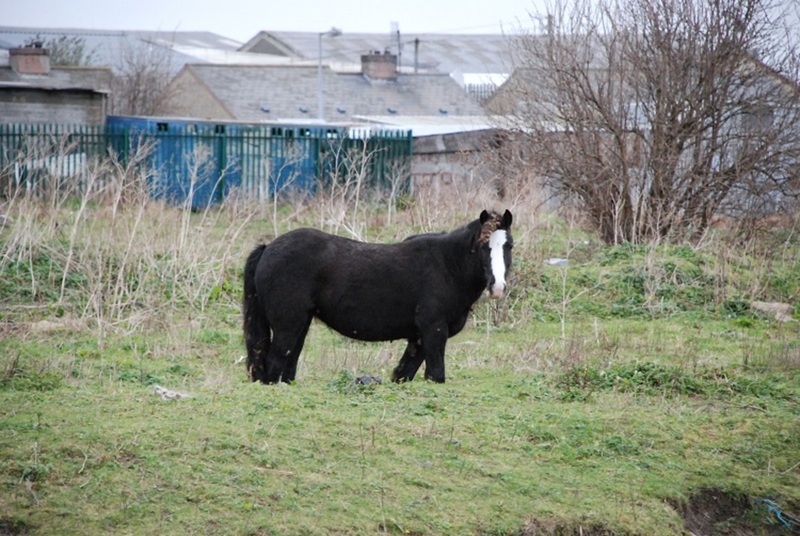 Horses are integral to Traveller culture, she argues, so they should have a dedicated space. And Labre Park has had its fair whack of neglect, she says. Recent years have seen questions raised about the quality of the accommodation and sanitation on the site. 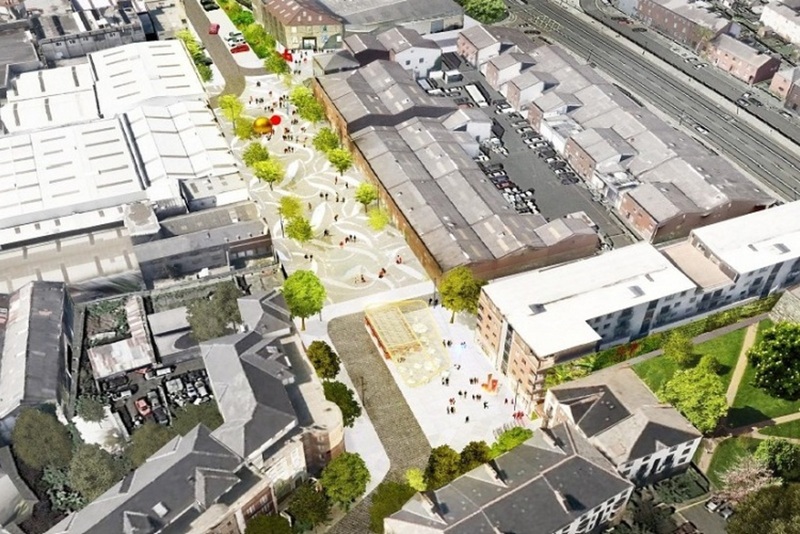 Housing association Clúid is due to kick-off its redevelopment next year. Most horses are currently kept outside of Labre Park, says De Nortúin. “The bye-laws that came in around the ownership of horses did drive an awful lot of them out of the area,” she says. “If you don’t have a piece of land big enough at the side of your house you have no other choice but to move them elsewhere,” she says. Dublin City Council is supposed to recognise the importance of horses to Traveller identity, says De Nortúin. Lorraine McMahon of the Ballyfermot Traveller Action Project is fronting the project. If suitable land is found, it will be used as a place to keep horses, and also for promoting horse welfare. Elsewhere in Dublin, similar projects have taken off. Fettercairn Youth Horse Project in Tallaght began its engagement with the Travelling community in the mid-1990s when the Control of Horses Act came into effect. Since then, explains Fettercairn Chairperson Sheilann Monaghan, the group has worked on promoting horse welfare and running occasional equine clinics for the Travelling community. A horse project near the redeveloped Labre Park could form part of that community, says Monaghan. It could also lead to further education around their welfare. Not far from Labre Park, another project – called Horsepower – has brought the community of local horse riders and quad bikers together, says Sinn Féin Councillor Daithí Doolan. 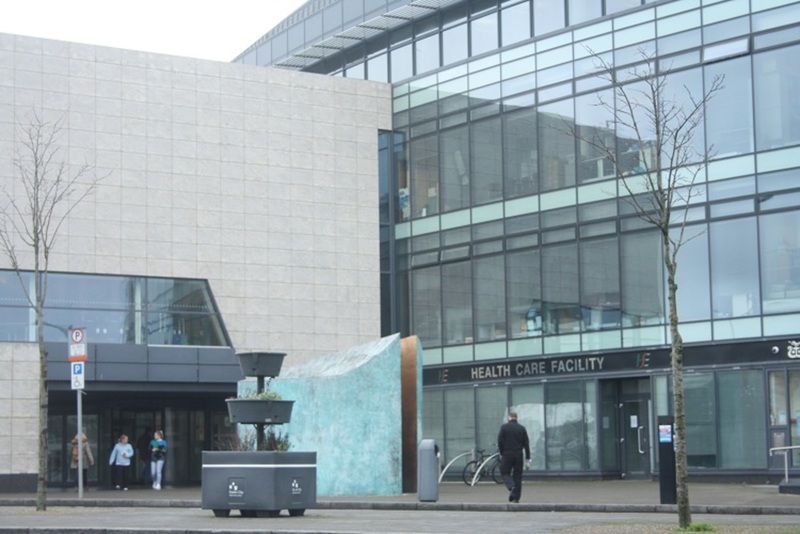 Following the death of 16-year-old Warren Kenny in a motorbike crash in December 2015, local parents, the gardaí and the council, set up the initiative, Doolan said. “It’s important that they [horse riders and quad bikers] are not excluded, that they’re part of the solution,” he says. Now they’ve a place to ride, a dedicated space. And, says Doolan, there are lessons to be learned for any future project at Labre Park. In the first instance, don’t ignore someone’s culture. Doolan says Labre Park’s redevelopment should take priority over a dedicated horse project. But he suggests that they could occur in tandem. At last week’s meeting of Dublin City Council’s South Central Area Committee, De Nortúin put forward a motion. She hoped the council would allocate the abandoned land between the canal and Labre Park for the development of a horse project on the site. The site, on that recent Monday afternoon, was in rag order. Near where the horses were shuffling, dogs bounded through a small opening in the fence, the boundary between the canal and Labre Park. Bark after bark, they leapt atop heaps of rubbish. Planks of rotted wood covered crisp packets. Abandoned prams sat next to tires and rusted metal drums. And the two horses paid no attention. The pylons that stretch as far as the eye can see were once a hotly contested issue. In 2000, protesters demanded they be moved underground. 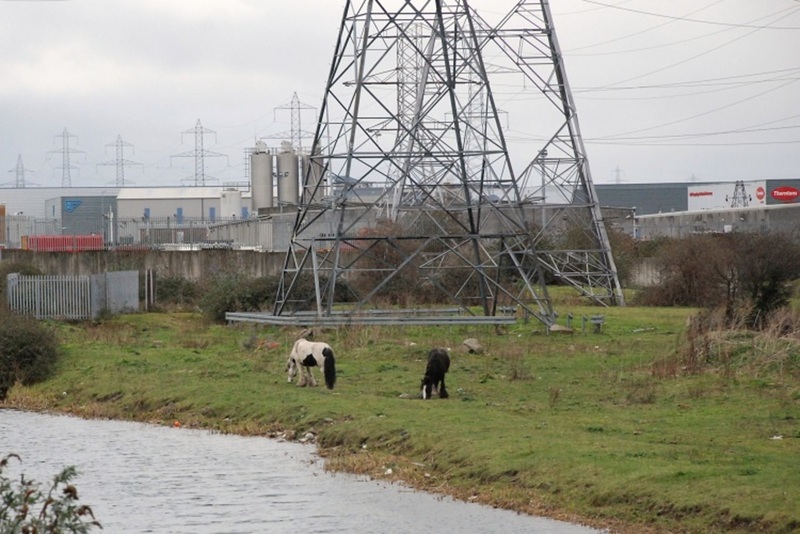 In January 2016, The Echo reported that the mistreatment of horses along the stretch of canal was common. It was unclear who was responsible for the horses. Independent Councillor Vincent Jackson was calling for action though. 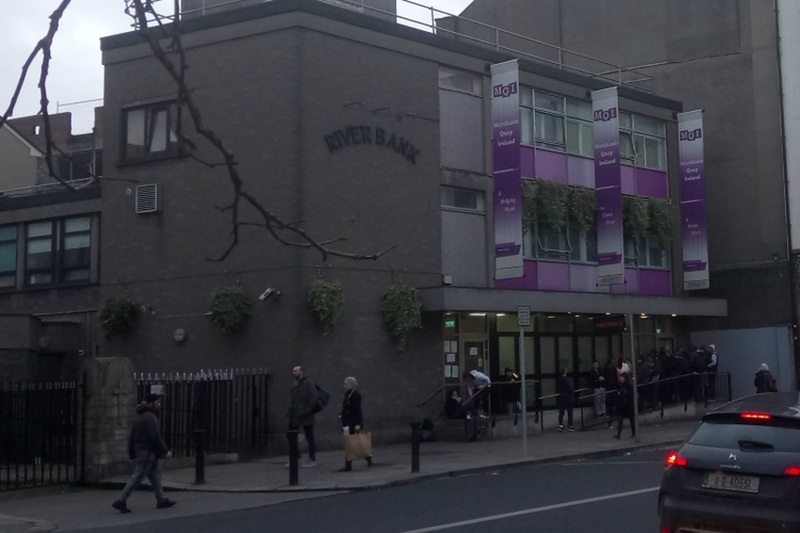 De Nortúin argues that a safe, dedicated space could prevent such problems in future, and, last week, her motion to provide a horse project on the site was approved by councillors. That land, said Dublin City Council Area Manager Bruce Phillips, was not his to allocate. He doesn’t have that power within the council. And there’s almost been an expression of interest in the land already. Dublin City Council’s press office did not respond to queries seeking clarification by the time this article was published. Martin Collins of Pavee Point Traveller and Roma Centre says the importance of horse ownership needs to recognised by local authorities. Pavee Point is six weeks away from publishing a report on horse ownership, Collins said. 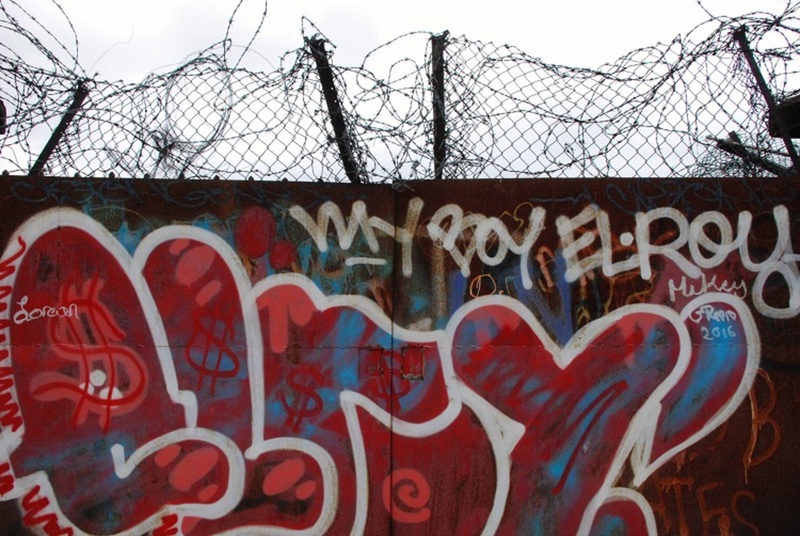 It will examine the importance of ownership to, and the effects on, Traveller culture. Collins says that the introduction of the Control of Horses Act in 1996 meant stricter measures for horse owners around Ireland. “Local authorities will tell you they’re not in the business of accommodating animals, they’re in the business of accommodating people,” says Collins.